I’ve been diligently working on a new painting for my In Our Veins series. 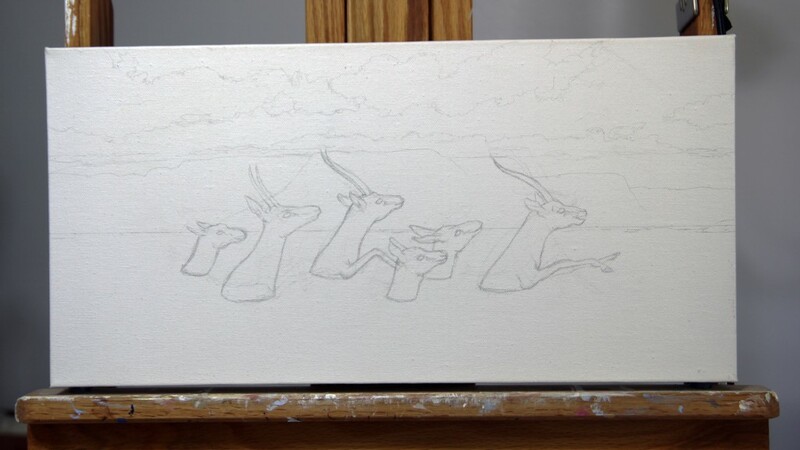 This is the initial sketch on canvas, consisting of basic outlines. I’ve already started applying paint and will be posting it here as soon as it is finished. I’m still trying to settle between two titles. It is 20″ wide by 10″ high. View the series online here: www.amyguidry.com/wild_west.html. 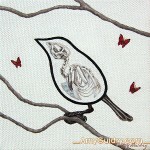 The very last of my New Realm 5 x 5 series has sold! 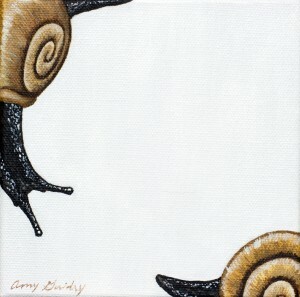 My last remaining painting of the series, Snails, found a new home recently. It is an acrylic on canvas, 5″ x 5.” While these small “spotlight” pieces have all found homes, there are larger paintings from the series which are still available. View the series online here: www.amyguidry.com/beginning.html. I’m currently showing on the West Coast and the East Coast, and happy to say that my next exhibit will be local (in Lafayette, Louisiana). The Acadiana Center for the Arts is presenting an exhibition of narrative art titled 1000 Words in which I have been invited to participate. The exhibit will be held in the Main Gallery starting May 11th through July 13th. The opening reception will be held on May 11th from 6-9pm, in conjunction with the Second Saturday Artwalk. My work was recently featured on the Visual News. 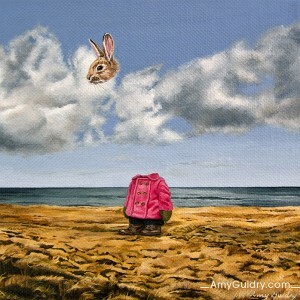 Managing editor Benjamin Starr writes, “The recent collection of paintings from Louisiana based artist Amy Guidry brings the surreal so certainly into existence it seems to easily step off the canvas into reality.” I also had the opportunity to answer a few questions about my series. 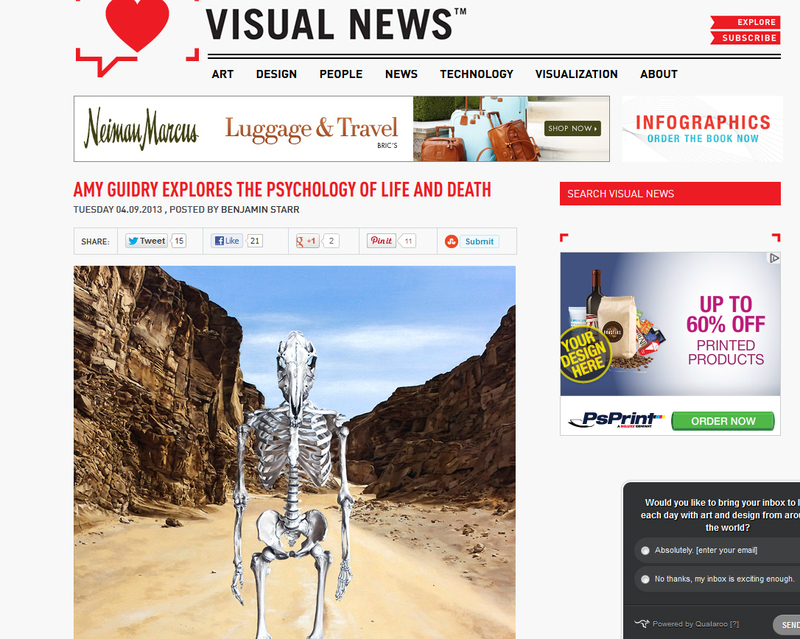 You can read the feature online here: Visualnews.com/2013/04/09/amy-guidry-explores-the-psychology-of-life-and-death/#more-81985. Another painting from my New Realm series has recently found a new home. Cocoons is an acrylic on canvas, 5″ x 5″ painting from the New Realm 5 x 5 series. Cocoons sold at the Masur Museum of Art’s Off the Wall fundraiser in which part of the proceeds benefit the museum. 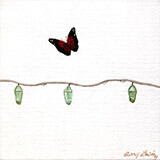 To view more paintings from the entire series, go to this direct link: www.amyguidry.com/beginning.html. 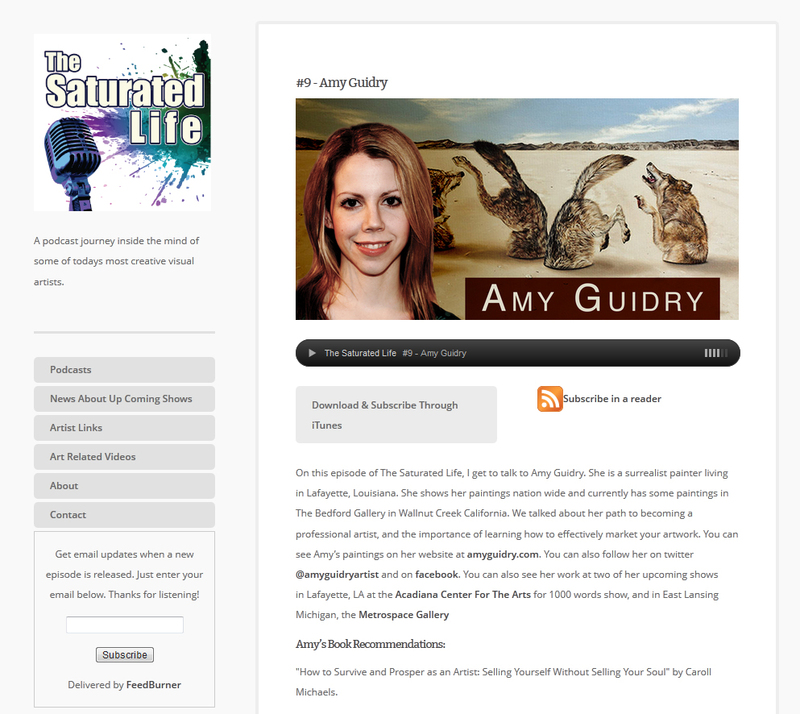 I was recently interviewed for The Saturated Life podcast which features discussions with contemporary artists from all over. We discuss among other things, my career path, voodoo, and powerlifting… just another day in my life? 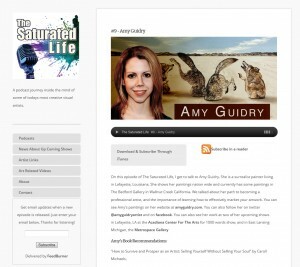 Listen to the feature on iTunes or on the website here: http://thesaturatedlife.com/. I’m happy to announce that my work has been featured on the Australian site Viva la Vegan. Leigh-Chantelle did a great write-up featuring several paintings from my In Our Veins series. 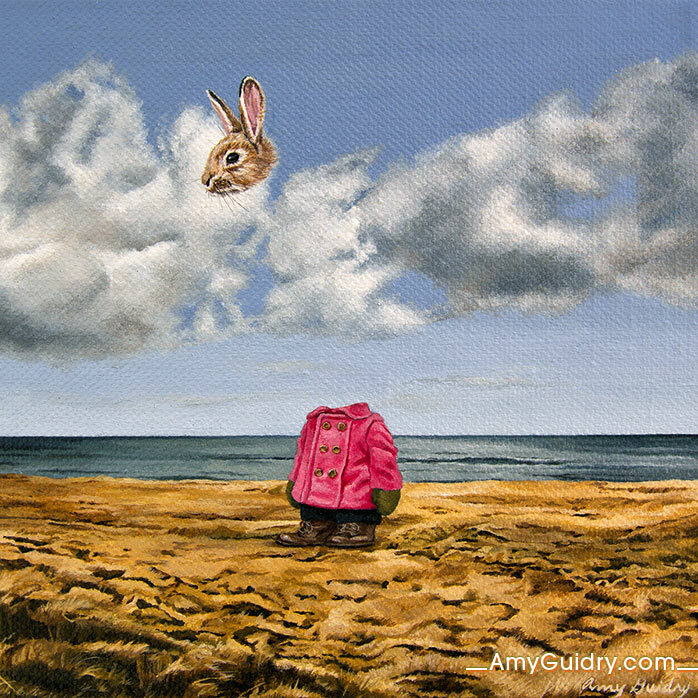 View the feature online here: http://vivalavegan.net/community/updates/513-amy-guidry-vegan-artist-her-art-a-inspiration.html. 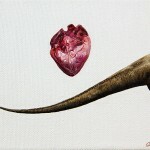 I’ve just added two new paintings to the In Our Veins series, both of which quickly sold after being featured. Kin is an acrylic on canvas, 4″ x 4″ and Absent is also an acrylic on canvas, 6″ wide by 4″ high. Both were highlighted in my latest newsletter, which features my latest work and gives subscribers the first peek, in addition to listings of current and upcoming shows, and other news. If you would like to keep up with me you can join here: www.amyguidry.com/contact.html. And you can view my new paintings online here: www.amyguidry.com/kin.html and here: www.amyguidry.com/absent.html.